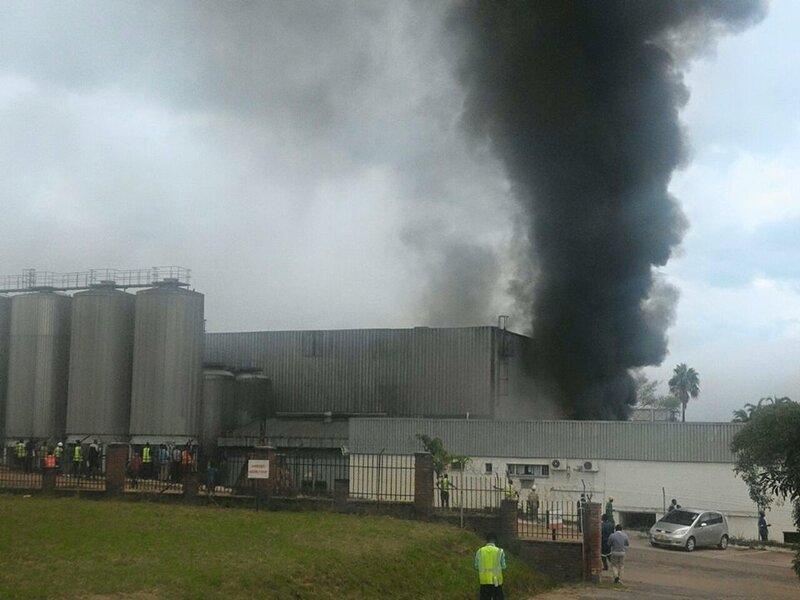 Although Carlsberg officials were not available to comment on what had caused the fire at Carlsberg Makata Industrial premises, some workers have disclosed that the fire started from what they call “blue house” where the production is mainly done. It is reportedly that the company has been carrying out maintenance works in the section where its renovations are being done by a team hired from Cameroon to replace tanks that store beer. The tanks have been in use since the opening of the company. One anonymous staff stated. “There is a project that is going on in the affected section which will be running for three years and it is in its first phase. “A team from Cameroon is doing the job which started last week. “In the process of removing the tanks, some electricity sparks appeared and grew into fire.” He said. Other workers also said insulation material that was placed on the ceiling of the processing section is highly flammable to have made the fire to spread with speed. However, efforts by the Blantyre City Fire Brigade to put out the fire were hampered by shortage of water which was being fetched from a distance. Southern region police commissioner, Dexter Chigwenembe, who visited the scene, said he would only comment after talking to the company`s management.